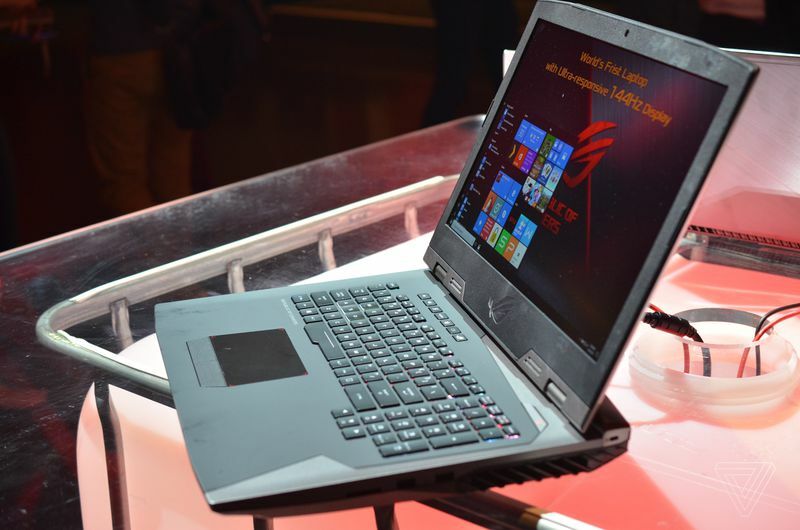 Asus just announced the world’s first gaming laptop with a 144Hz display at IFA today. I got a chance to play with the ROG Chimera, and I never want to go back to a normal gaming laptop display ever again. Asus was one of the first to introduce 120Hz displays on its gaming laptops, and now it’s pushing even further for gamers who want smooth performance and frame rates. The 1080p display on this 17.3-inch gaming laptop also has Nvidia’s G-Sync technology for removing screen tearing, and it looks great as a result. Unfortunately Asus hadn’t loaded any popular games like Overwatch or Playerunknown’s Battlegrounds, but I got to play Halo Wars 2 briefly and see some other examples of games running on the display. Compared to 60Hz, this screen really makes a big difference. I use a 1440p 144Hz display at home on a desktop PC, so I’m eagerly anticipating the day when a lot of gaming laptops start using this technology. My first taste has left me impressed, and Asus has included an unlocked Intel Core i7-7820HK CPU and Nvidia GeForce GTX 1080 GPU inside the ROG Chimera to allow it to easily handle the latest games. 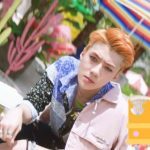 Those specifications, and the 1080p display, should let you run even new titles like Destiny 2at high settings and with all the benefits of the 144Hz display. Asus has also integrated in Xbox Wireless support, allowing you to wirelessly connect an Xbox One using Microsoft’s proprietary wireless connection and not just Bluetooth. The keyboard even has a dedicated Xbox button that brings you directly to the Windows 10 Xbox app. 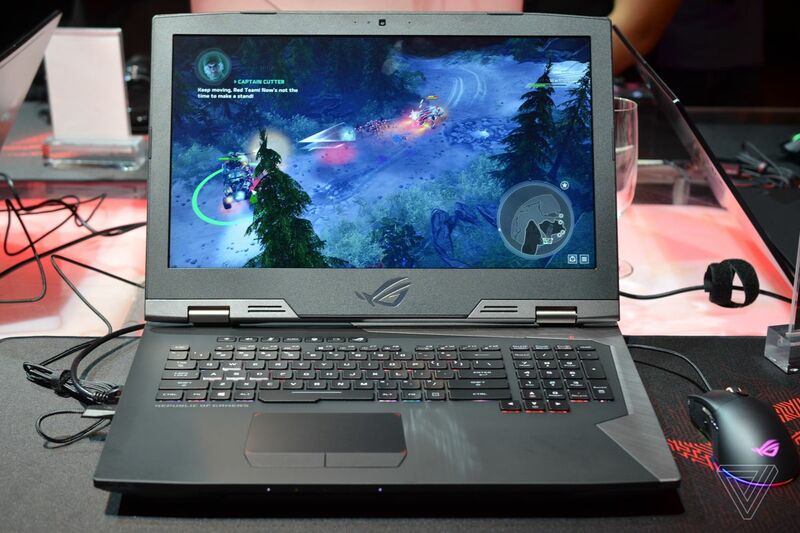 The ROG Chimera looks like an interesting gaming laptop for mobile VR, or just playing the top games away from home, but Asus has not yet announced pricing or availability.